McLaren may be known today as a carmaker, but it was a race team first. And one of the first places where it made a big splash was the Canadian-American Challenge Cup, or Can-Am. This defunct race series was known for insanely powerful cars, which went wheel-to-wheel on circuits across North America. 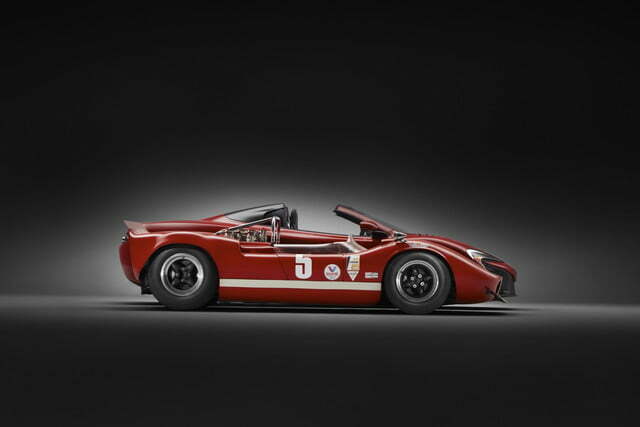 Can-Am was shelved in 1974, but during its relatively short existence, McLaren was one of the most dominant teams. 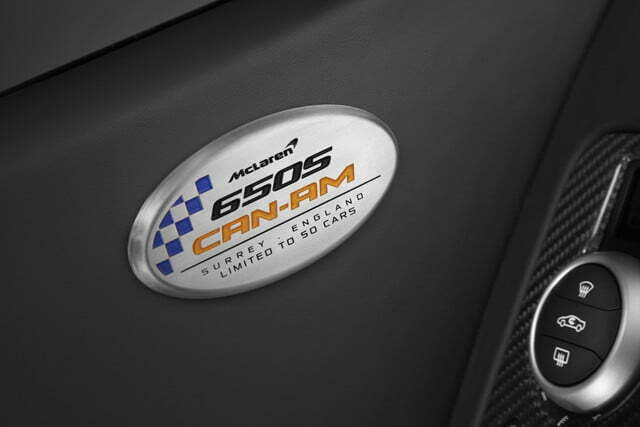 So to mark the 50th anniversary of the first Can-Am race, McLaren is launching a limited-edition 650S Can-Am based on the 650S Spider, and built by its McLaren Special Operations (MSO) division. MSO added special gloss-black forged alloy wheels, inspired by wheels from 1960s racecars. Inside the rims are carbon ceramic brakes with black calipers. The Can-Am also gets louvers on its front fenders, and a quad-exit polished stainless steel exhaust system, housed in a new rear grille designed to accommodate the extra pipes. The four tailpipes sticking straight out of the middle of the rear fascia look pretty aggressive. Aside from the exhaust system, there are no mechanical changes to the 3.8-liter, twin-turbocharged V8. 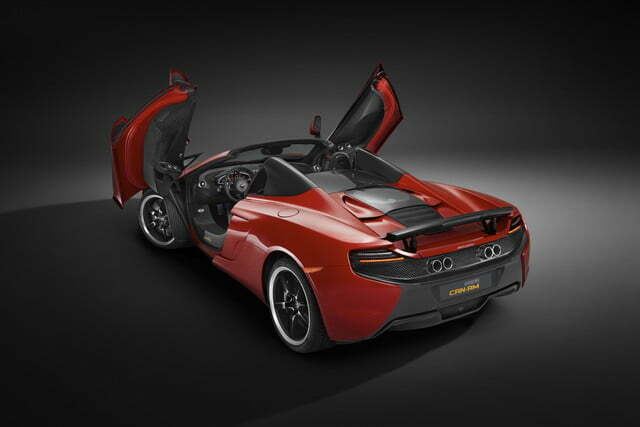 It produces the same 641 horsepower and 500 pound-feet of torque as the regular 650S, sent to the rear wheels via a seven-speed dual-clutch automatic transmission. 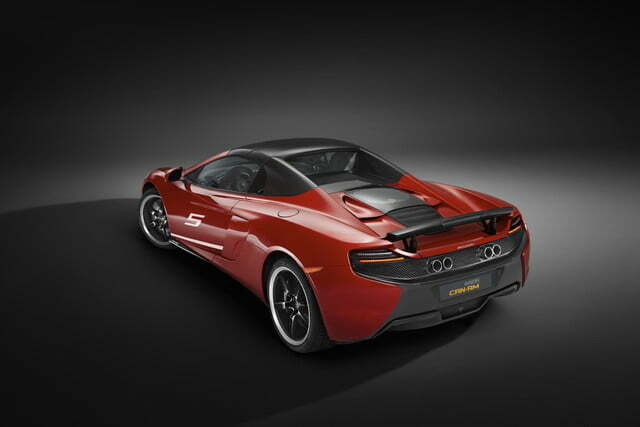 Zero to 60 mph happens in 3.0 seconds flat, and the 650S can reach a top speed of 204 mph. 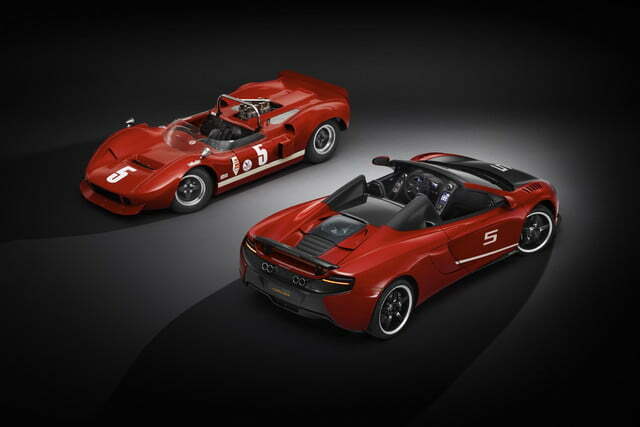 For some added nostalgia, McLaren will offer the 650S Can-Am in three colors based on the ones worn by some of its most successful racers. 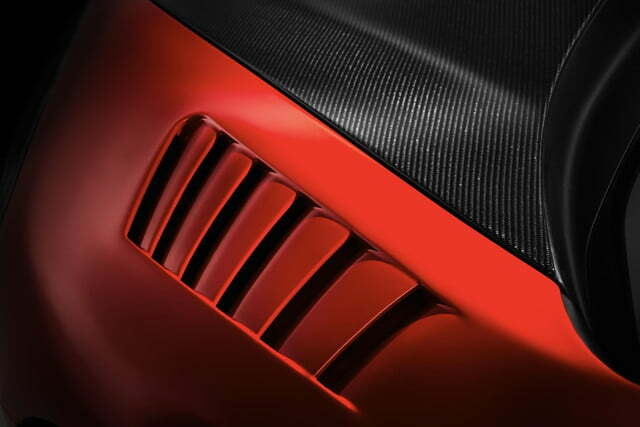 Mars Red is inspired by the M1B driven by founder Bruce McLaren and Chris Amon in Can-Am’s debut season, Papaya Spark is based on the now-famous McLaren Can-Am orange, and Onyx Black recalls the black-painted cars sold to customer teams in later seasons. 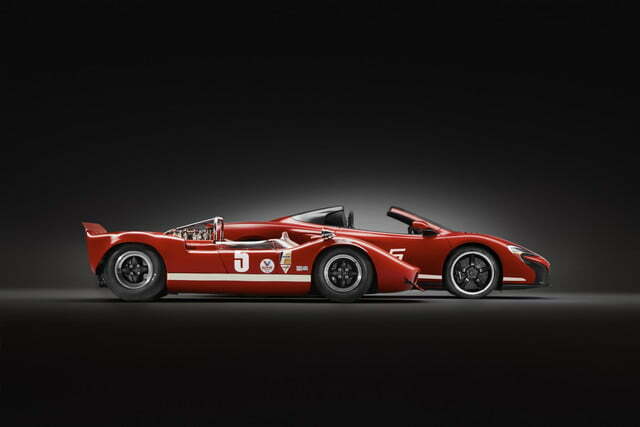 Buyers can also specify a full racing livery, complete with numbers. The interior of a 650S is much more luxurious than any racer’s, though. 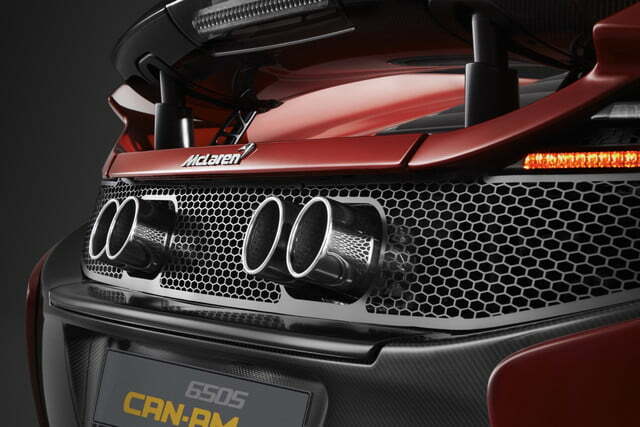 For the Can-Am edition, McLaren added leather and Alcantara trim for the sport seats, matching the car’s exterior, plus extensive carbon fiber trim, and a dedication plaque. 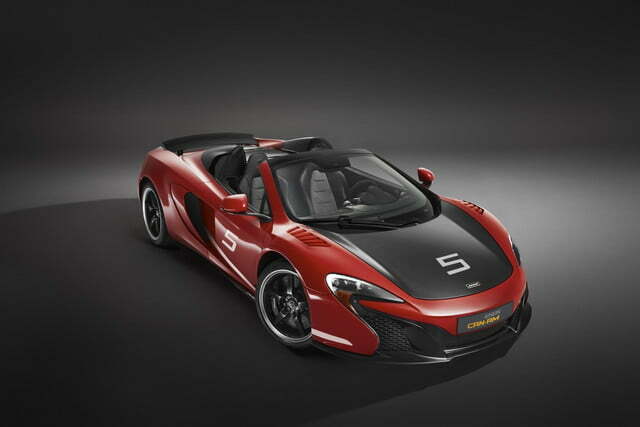 Just 50 McLaren 650S Can-Am editions will be sold globally, and all will be convertible Spiders. Pricing starts at $334,500. UPDATE: We added the U.S. base price of the 650S Can-Am.